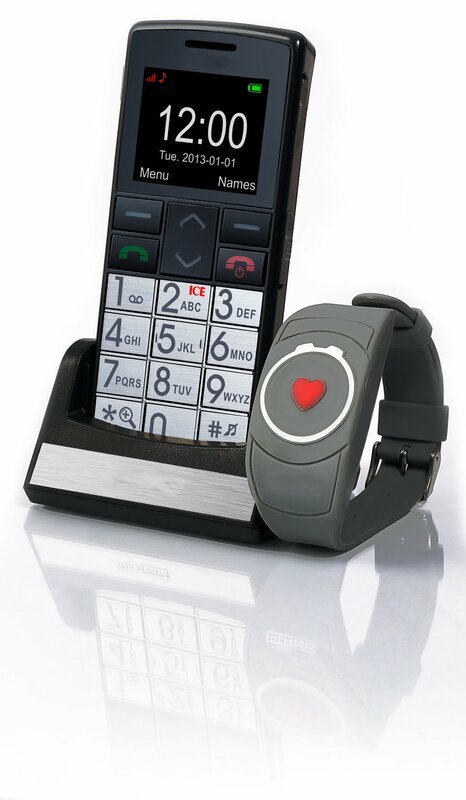 This model comes with a fully waterproof SOS bracelet which activates the emergency call feature of the phone. Dialling through a list of pre-selected numbers to summon assistance. The bracelet is made of comfortable matte rubber but can also be worn as an SOS pendant to protect delicate skin. The camera allows you to take pictures which can be attached to contacts so you can see at a glance who is calling. * Our mobile phones work on all Irish mobile networks. When the Pendant is pressed the phone will start alarming letting the person with the pendant and anyone in the area know the alarm has been activated. The Phone will then begin dialling the designated contact numbers and will automatically go into speaker phone mode.